Welcome to Bolivia Hop! If you’re travelling to Bolivia or if you are already here, you might have some questions about our service and of course Bolivia itself. Our FAQs are aimed at helping you with any question you may have. Just click on the topic and you’ll be able to continue. Bolivia Hop is the first hop-on/hop-off bus service in Bolivia. Our service connects both Bolivia and Peru, taking you to world famous stops such as Cusco (gateway to Machu Picchu), Puno (Lake Titicaca – highest navigable lake in the world), Copacabana and La Paz. However, the best thing about Bolivia Hop is that not only do we cover all of these world famous destinations, but we make stops between the stops to see places that tourists normally don’t get to see. Imagine we are like the red city tour buses you see all around the world with the open top roof, that take you around the city in just one day. Those buses let you hop off at main tourist sights and you can hop on whenever you want to go to the next stop. The concept we follow is very similar. Our buses follow a specific route and you can hop-on and hop-off at each of our destinations whenever you like, according to our timetable. Your pass is valid for 1 year in 1 direction, so you can stay as long as you want in 1 place or just follow our recommended schedule! Where can I find a Bolivia Hop office? We have offices in Lima, Cusco and La Paz. You can check our opening hours, addresses and numbers on our contact page. How do I hop-on and hop-off? It is very easy to hop-on and hop-off. HOP-OFF: Basically, when you arrive at a destination, your guide will tell you when the next bus is leaving. You can tell him you want to hop off and he will put your pass on hold for you. If you don’t want to hop-off, you don’t need to do anything and you will continue on your selected schedule. HOP-ON: Simply log-in to our booking system (Hop Login at the top, on the right side of the Bolivia Hop website) using your unique booking code and last name. Here you can reserve a space or change your dates for any of the next buses… it really is that easy. All hostels and hotels have Wi-Fi for you to use, and in the worst case scenario, you can call our office from reception… don´t worry we have never lost anybody along the way… yet!! How to choose between the different passes? These are our classic passes that will take you from A to be B with great stops along the way. You can hop on and hop off whenever you want or just follow our recommended itinerary. Everything is up to you! Do you want to finish in Cusco? Do you want to do a Colca Canyon Trek? Do you want to volunteer in Puno? Do you want to be in Huacachina on a Friday night? These 1/2/3 day trips are round trips that leave from Lima, Cusco or La Paz. They are all inclusive (transport + accommodation + tours).These passes are perfect for those who have limited time and just have 1-3 days to explore more of Peru or Bolivia. The best part is that everything is included except food! Visit one of our offices in La Paz, Cusco or Lima or book online. Choose the ideal pass for you based on where you want to travel and how much time you have. In our tickets section, you can then plan your trip with our itinerary planner or use our timetables. If you´re are not sure of your plans, just book online and update your itinerary along the way to suit your plans. During your booking we will ask you where you would like to picked up from on your departure date. If you do not have accommodation yet at the time of booking, you can choose another hotel from our list. You can always change the pick-up location later via your Hop Login (Preferably 3 days before departure but if you are booking within 3 days of departure this is fine, but remember your must update at least 12 hours before so we know where to pick you up from to start your trip!). We then pick you up from the first pick-up point. Our on-board Bolivian guide will give you an information pack with your timetable and some information about the different tours and accommodation. You can bookaccommodationand tours directly with your guide on the bus. If you arrive to a place and decide to stay longer, just tell your guide and he will put your pass on hold. To hop back on, simply log in to our booking system (Hop Login at the top right side of the Bolivia Hop website) using your unique reservation code and last name. Here you can reserve your space on any of the next buses and choose FROM WHICH HOTEL we need to pick you up from next. At the end of your trip, you can pick up your free T-shirt at our office in Cusco or Lima (depends on availability). Does Bolivia Hop give discounts or benefits? • You can find our hotel/hostel discounted prices on our hotel/hostel page. • Upon purchasing a Bolivia Hop ticket, you will receive a discount code, which will give you a discount on your next booking on any Peru Hop ticket. Bolivia Hop travels between La Paz, Cusco and Lima (we do not go as far as Uyuni). Between those big cities, we have smaller destinations, like: Copacabana, Puno, Arequipa, Huacachina, Paracas. We also pass through Nazca. It is possible to hop-on or hop-off in Nazca. Please contact us via email for more information. Is Bolivia Hop available to everybody? Families, single travellers, couples and groups of friends of all ages are welcome to join us travelling through Bolivia and Peru. Our buses always carry a mix of people from different backgrounds and age groups, that’s what makes travelling with Bolivia Hop such a great experience. Go to our tickets section and browse until you find the pass that matches your itinerary best. In the pass, you click the book now button, which will redirect you to our booking platform. Our booking platform has 6 steps and it is really easy! On the screen your chosen pass will be automatically filled in (verify you picked the right pass). You just need to select your departure date and the number of seats you want. Here you need to choose your first pick-up location. We give you a recommended itinerary but this is completely adaptable during your trip with your log-in code! NOTE: if you do not know your pick-up location at the time of booking, you can send us an email later to confirm this (preferably 3 days before departure but if you are booking within 3 days of departure this is fine, but remember your must update your booking at least 12 hours before so we know where to pick you up from to start your trip!). Fill in your personal information and the info of those you’re booking for. Here you will see a 5% credit card fee added to the price of your ticket. We will give you a summary of your ticket so you can check all your information before making the payment. If you have a discount code, you can fill it in here. Finish your booking (we accept Mastercard, Visa, American Express and Maestro). Fill in your card details and confirm your booking. Once you have received the message YOUR BOOKING IS CONFIRMED – You can officially call yourself a hopster! If something is not working or your payment doesn’t go through, you can always contact us or book your ticket in one of our offices in Lima, Cusco or La Paz. You will receive your booking confirmation via email. In your email you will receive a reservation code, which you can use to make changes to your booking in your Hop Login. Read more in our FAQ section about how to use your Hop Login. Upon purchasing a Bolivia Hop or Peru Hop pass, you receive a discount code (not the same as your reservation code) that you can use if you decide to continue your travels with us and purchase a future pass. You will receive a confirmation email within 2 hours confirming your purchase. Once you hop on our bus, you will be handed your Bolivia Hop wristband by your guide, which acts as your ticket and gives you access to all our exclusive discounts. What if I haven't received my booking confirmation? Oops, please check your spam / junk mail as maybe it has gone there, but if not just email us. You can find our contact details on our contact page, and we will fix this for you asap. Please remember that Bolivia is -4GMT so 4/5 hours behind Britain and 5/6 hours behind continental Western Europe (daytime saving adds an hour) and 14 hours behind Australia / NZ. This means we might not reply to you instantly. That being said, we do have a reputation of replying quickly. How do I book hotels/hostels for my trip? Check our discounts page for Bolivia Hop discounts. Check our discounts page for Bolivia Hop discounts. Please note that dorms are subject to availability. We will always make sure to find a place for you to stay but it might not be the hostel or hotel of your preference. These discounts CANNOT be applied if you book through other third party agents such as hostelworld or hostelbookers. Reservations MUST be done direct to the hostel contacts below or via us. NOTE: Our 1, 2, and 3 Day Trips from La Paz, Cusco and Lima include accommodation. You will not have to book anything yourself, so just sit back and relax! How do I book extra tours? We accept tour reservations on our buses but we always recommend reserving tours in advance and paying securely online via FindLocalTrips.com to avoid costly ATM withdrawal fees and currency exchange rate charges. They offer a very flexible change of tour date policy to Bolivia Hop passengers. Changes are free of charge right up until the day before the tour is due to start. You can select the tour via our website and it will take you to the Find Local Trips booking page. Can I still book tours with other operators along the route? The extra tours we suggest are with operators we trust and feel safe recommending. Of course you are free to book any tour you like from any operator you like! What is the Hop Login? Once you book a ticket, you will get your unique reservation code on your booking confirmation that gives you access to our booking system. You can find access to our booking system at the top right corner of our website. It is the orange button called Hop Login. To enter your Hop Login, just enter your unique reservation code and last name. Now you can update pick-up points, put your pass on hold and change travel dates. • Always remember that if you are travelling as a couple or are part of a GROUP BOOKING, any change made will reflect on EVERYONE’S booking. How do I access the Hop Login? You can find access to our Hop Login in the top right corner of our website of the Bolivia Hop or Peru Hop website. It is the orange button called Hop Login. To enter your Hop Login, just enter your unique reservation code and last name. You can find your reservation code on your confirmation email. Note: if our system doesn’t recognise your info on the Bolivia Hop or Peru Hop website, please log in to the other website (peruhop.com or boliviahop.com). How do I use my Hop Login? The first page when you open your Hop Login. There you will be able to see your bus departures and also have the option to change your bus schedules. When you have selected to change a bus departure, the following buses will automatically switch to the next recommended schedule, so make sure to double check your schedule. You’ll see what discounts you have earned. After making any changes and confirming, you will receive an automated email confirmation of the changes you have made. DO NOT FORGET: If you are travelling as a couple or are part of a GROUP BOOKING, any change made will reflect on EVERYONE’S booking. With your Hop Login you can update pick-up points, put your pass on hold and change travel dates. BUT All changes to your itinerary have to be made MINIMUM 12 HOURS BEFORE YOUR NEXT DEPARTURE DATE! What if I need to cancel my pass? Can I get a refund? Yes, all passes purchased can be cancelled, but unfortunately we cannot give full refunds as we need to cover our own costs involved in refunding including the fees involved. • Within 7 days of departure: 40% charge of the ticket price. • Within 3 days of departure: 60% charge of the ticket price. • Within 24 hours, No Show or after departure: 100% charge or NO REFUND of the ticket price. Remember, the great thing about Bolivia Hop is our flexibility, so whilst you may need to cancel your trip now, you can simply change the date of travel as our tickets are valid for one year in one direction. The other option of course is to try to transfer your ticket to a friend or somebody else you know. Your credit card details are stored with our payment processing company who are certified by Visa and Mastercard here in Bolivia. They are audited every year and have to meet the most stringent of controls regarding credit card data. My online payment isn’t working. Can I still make a booking? First, try to use another browser as we have experienced that the change of browser often helps. If this does not help, try using a different card. If all else fails, you can send an email to info@boliviahop.com and our staff will help you as much as we can. How do I find out the departure times of my bus? All our latest timetables can be found in the pass you booked or in the timetables section of the website, and you will get a physical copy of this once you start your trip. How do the pick-ups work? We pick you up from your hotel in La Paz, Puno, Lima and Arequipa. Before we pick you up from these locations, you will of course need to let us know where you will be staying so we can pick you up. You can add this information to your Hop Login (top right corner of our website). Please see our FAQ section ABOUT YOUR HOP LOGIN for more information. You need to let us know any changes to your schedule 12 hours before your departure time. In our smaller destinations, the bus will leave from a central meeting point. Main streets and other areas are not accessible for our big bus. During your booking we will ask you where you would like to picked up from on your departure date. If you do not have accommodation yet at the time of booking, you can always add your pick-up location later via your Hop Login (Preferably 3 days before departure but if you are booking within 3 days of departure this is fine, but remember your must update at least 12 hours before so we know where to pick you up from to start your trip!). You also use your Hop Login to tell us where to pick you up at our other destinations. CUSCO DEPARTURES: It is prohibited for large buses to enter the historical centre of Cusco. Therefore we ask all our passengers to come to our private terminal located just 5 minutes from the Plaza de Armas. The exact address will be on your booking confirmation and you can find it here. IMPORTANT: Always be on time for your pick-up. You will see the precise pick-up time in your booking confirmation. Please be ready at your hotel/hostel reception at the earliest time mentioned in your confirmation email. How many nights do we recommend at each stop? • Cusco: 4-5 days – This is enough time to visit Machu Picchu, other sights around Cusco and the centre. If you’re planning a 4 day trek to Machu Picchu, maybe spend some more time in Cusco. • Puno: 0 nights – Depending if you want to do a homestay tour or not. • Arequipa: 2 nights – Gives you the chance to visit the Colca Canyon. • Nazca: 0 nights – We stop at the Nazca Viewing tower en route which allows you to see some of the Nazca Lines, however if you wish to take the flight, depending on which direction you are travelling, if may be required to hop off for the night in Nazca as flights operate only in the mornings. Remember that we are incredibly flexible. All tickets are valid for one year in one direction, so you can take as long as you want at each stop or move faster if you wish. Simply check our timetables to see how quickly you can do everything. For those short on time, we recommend the Get to Lima Quick or get to Cusco quick passes or to choose one of our short trips from La Paz, Cusco or Lima. *All tours mentioned are optional. How do I hop off? Simply tell your on-board guide you wish to stay longer at your destination and he will put your ticket on hold for you. You can also use your Hop Login to put your ticket on hold yourself. You can find the Hop Login on the top right corner of our website. You can log-in with your last name and the unique code on your booking information. How do I hop back on? You can hop back on our bus by going to the Bolivia Hop or Peru Hop login (you can find the Hop Login at the top right corner of our website). You can log-in with your last name and the unique reservation code on your booking information. Once inside the system, you can change the location and date of your next pick-up. For more information on our Hop Login, see ABOUT YOUR HOP LOGIN above in the FAQ section. Can I simply follow the recommended itinerary? The majority of our passengers follow the recommended schedule and a lot of our passengers actually plan their trip around it. It is also possible to adapt your itinerary and spend for example 2 days in Arequipa, 2 days in Puno and 3 in Paracas. Once you book your ticket, you can then log in to the system and change the dates of all the buses to match your itinerary … it’s that simple! If you do plan to follow the recommended itinerary, you do not need to do anything… just sit back, relax and enjoy the trip! I am travelling in a group... will we all get on the same bus? If your group books for the same day, you will depart with the same bus. Do not worry. At each destination we usually have deals with 2 or 3 restaurants that we think are the best value places to eat. You are free to eat wherever you want… remember that Bolivia Hop is not a tour so you are free to go where you want and do whatever you want. 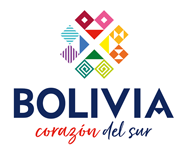 Our guides will simply give you their recommendations, but we do NOT earn commission from any restaurant unlike other tour agencies… we simply ask the restaurants to give us discounts for our passengers as an extra benefit of travelling with Bolivia Hop compared to travelling with other companies. What do I put as my pick-up location if I’m not staying the night? If you are not staying the night and will continue with Bolivia Hop the same day, you do not need to put anything. You can just meet us at one of our meeting points. Your guide on board will explain this to you on arrival at each destination. They kindly allow Bolivia Hop passengers to wait in the reception for the bus. Can I store my bag on the bus if I’m not spending the night? If you are not spending the night you can either store your luggage on the bus or leave it at one of our partner hostels or hotels for free (depending on the location). Sometimes we cannot store anything on the bus, because the bus will continue travelling. If we cannot store your bag on the bus and you cannot store it at one of our partner hostels, you can ask a hotel or hostel to store your bag. They usually offer this service for a small price. Just talk to your on-board guide and he will let you know what your options are. What is not allowed on the bus? • Only number 1 (pee) is allowed on our buses. The toilets are not equipped for number 2. • On-board behaviour that disturbs other passengers is in no way allowed. • Please respect our property. We do our best to take care of our buses to ensure you are comfortable during your trip. We hope that you can let other passengers enjoy the same experience. • Drugs and alcohol are strictly prohibited on board. • There is no smoking allowed on board (this includes in our toilets). Where is the pick-up location in Cusco? It is prohibited for large buses to enter the historical centre of Cusco. Therefore we ask all our passengers to come to our private terminal located just 5 minutes from the Plaza de Armas. The exact address will be on your booking confirmation, which you can find here. We do arrange drop-offs in Cusco. You will be dropped off at our terminal, from where we will arrange for a private transfer to your hotel or hostel. All of our buses are less than 3 years old and have the latest high tech braking and suspension systems and are all monitored 24 hours by GPS tracking system. Our buses are operated in conjunction with Inka Express and DC Travel, award winning industry leaders in buses in Bolivia. All our buses also have a Bolivia/Peru Hop guide on board who is constantly monitoring the drivers and their velocity. Each of our drivers is licensed by the Bolivian Government to operate our buses. We conduct regular reviews and inspections of all drivers to ensure they are adhering to all of our safety procedures. We also encourage hopsters to review their drivers, how safe they felt on board etc. and we use these reviews to determine which drivers are good enough to operate our buses. All our buses are monitored by GPS 24 hours a day to ensure no unplanned stops are taken and that the correct route is being followed at all times and the maximum speed is being followed. Seatbelts are of course provided for all hopsters. Your large bags will be stored in our luggage compartments of the bus while you keep your personal belongings with you. In hostels and hotels, you can make use of their lockers. We recommend bringing a padlock to Bolivia as not all hostels provide one. Buses (combis) are generally safe but we would only recommend them if you know where you’re going and if you’re absolutely sure you’re taking the right bus so you don’t get lost in potentially dangerous areas. We recommend using apps like Uber or Taxibeat to order a taxi. As taxis you find on the street are usually a bit cheaper but not entirely safe. Alternatively have your hostel order you a taxi. If you do decide to take a taxi, do not show any valuables and make sure to agree on a price in BOLIVIANOS. We would recommend taking out personal travel insurance before you come to Bolivia as loss of property, sickness or accidents can occur no matter where you are in the world and are not the responsibility of Bolivia Hop. How safe are ATMs in Bolivia? In general using the ATMs here is fine, however we DO NOT recommend using them at night for obvious reasons. We recommend using ATMs of the bigger banks in Bolivia and not the small ATMs in petrol stations etc. as they tend to have higher charges. What is the language of Bolivia? Spanish is the national language of Bolivia. English is spoken by hostel receptionists and service staff in the big cities or touristic areas. Most taxi drivers, bus drivers and store attendants do not speak English. Before coming we recommend learning a few words and phrases to get by, but you should be able to manage without knowing Spanish if you don’t go too far from touristic places. In the zones where they are predominant, Quechua (language of the Incas), Aymara and other languages also have official status. Normally you would not encounter areas where they do not speak Spanish. What currency is used in Bolivia? The Boliviano (Bs.) is the national currency..
What should I bring with me to Bolivia? A small backpack for day trips / treks is essential. A towel, suncream, sunglasses, camera, comfortable trainers, clothes for summer and winter weather (sun and rain!) etc… you know the drill! If you’re planning to visit the jungle, also bring insect repellant. We recommend bringing some Bolivianos and some US Dollars with you, maybe a total 500 bolivianos and $200 dollars. This will be enough to last you 4 to 5 days before you need to withdraw from an ATM. How much will I spend in Bolivia? Hostels average $7 a night and private rooms start at $20 per room. Prices will depend on the quality of the hostel or hotel. 3 meals (breakfast/lunch/dinner) will average around $8-15 a day. Large beers generally cost $2 and water around $0.50. Tours are obviously an additional cost. Do I need ID in Bolivia? Yes. Your passport is required by Bolivia Hop and by every hostel in Bolivia. It is also required at the airport so don´t be a silly hopster and forget it! Will I have any problems with altitude in Bolivia? It is also recommended to take some altitude sickness pills, chew Coca leaves and drink Coca Tea… our guides will assist you with any issues. On our trip, Arequipa, Puno and Cusco are the 3 places where altitude could affect some hopsters. We recommend Arequipa as a place to acclimatise on the way to Cusco and Puno. 1 or 2 days acclimatisation recommended in Arequipa but most tours don’t invole much physical exercise. 4,200m (13,780ft) – 1 or 2 days acclimatisation recommended in Arequipa and in Cusco. Each tour has its own page and FAQ section. Just click the tour you have additional questions about and we will direct you to the right page. If you cannot find your answer on these tour pages, please contact us.